MD of Misr Bank Europe Hubert Bock gave an account of Egypt’s trade relations with Europe, with reference to the Arab Spring & Eurocrisis. During the 5th Annual Egypt Trade and Export Finance Conference, Hubert Bock shed some light on Egypt’s “commercial” ties with Europe and how these were affected by the Arab Spring and the Europcrisis – or rather how they could be affected. As the Managing Director of Misr Bank Europe, Bock described the Eurocrisis as the world's worst since the financial crisis back in 1930, when most of Europe’s currencies suffered from severe inflation, yet he believes that it is still part of the aftermath of the Global Financial Crisis in 2008. Above all, it should be considered a political crisis as much as an economic predicament, because it brings the European Union (EU) to the test, making countries decide whether to follow through with Project Europe and lose their sovereignty, or not. As for the Arab Spring, it is important to notice that it is taking place during the Eurocrisis, which makes variables and evaluations all the more complicated and difficult. Bock assured that the global economic developments weight heavily on Egypt; yet domestic factors are not to be taken lightly. Recovery of the local financial and business relations can only come with political stability, whereas economic policies need to be inclusive. In 2011, the EU remained its status as Egypt’s main trading partner, as it covered 31.9% of Egypt’s trade volume – 32.6% of Egypt’s imports and 30.5% of Egypt’s exports. The main sectors of trade between both parties could be divided into goods and services. When talking about the former, the EU goods exports to Egypt amounted to EUR13.9 billion, mainly focusing on machinery (35%) and chemicals (16.6%). However, EU’s imports from Egypt added up to EUR9.4 billion, consisting of energy (57.9%), chemicals (10.9%) and textiles and clothes (9.5%). As for the trade in services between both regions, one can safely say that the EU imports twice as much services as it exports to Egypt. With exports at a value of EUR3.1 billion, the EU heavily depends on business services from the Third-World-Country. The EUR6.6 billion worth of imports from Egypt are primarily focused on travel services (60%) and transport (20%). 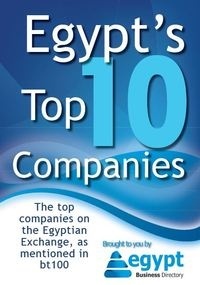 According to the Ministry of Industry and Foreign Trade, Egypt marked other Arab countries as its primary export partner in 2012 ($4.6 billion), closely followed by the EU ($4.2 billion) and Asia ($3.3 billion). Yet, the EU proved itself as a better import-partner ($9.764 billion) for Egypt, followed by Asia ($9.745 billion) and Arab countries ($4.5 billion). Bock advised Egypt to re-establish political stability, create a stable legal and commercial environment, work on quality in all aspects, be aware of the competition and most importantly, assure social inclusiveness of economic development.